Tomorrow is Human Rights Day. The date was chosen to honour the United Nations General Assembly's adoption and proclamation, on 10 December 1948, of the Universal Declaration of Human Rights, the first global enunciation of human rights. In 1984, I was the policy director of a student-led project marking the UN International Year of Youth called the International Youth Year Conference on Law. I spent some considerable time with an engaging teacher, Professor John Humphrey, who was then at the Faculty of Law at McGill University. He was an affable and accessible gentleman, who I assumed was in his seventies. He seemed to love spending time helping me understand the law. I would meet Professor Humphrey in his very small and windowless office at Chancellor Day Hall, the law faculty building, on the corner of Peel Street and Dr. Penfield on Mount Royal. There was only a desk lamp, a small desk, phone and lots of books. Every once in a while he would take a call from his wife. Other than that, it was just the two of us and no distractions. While I understood that John Humphrey was a respected teacher and legal scholar, I confess now that I had absolutely no idea then that I was in the presence of a giant of the 20th century. Translated into 321 languages and dialects, the Universal Declaration of Human Rights is quite probably the most cited legal document ever drafted by a Canadian. In 1946, John Humphrey was asked to work with a committee of the United Nations Secretariat to help the organization draft a statement on human rights. In providing guidance to the 18-member international committee, Humphrey created a 400-page blueprint that became the foundation of the Universal Declaration of Human Rights, also drafted by Humphrey. Committee chair Eleanor Roosevelt famously called it "the Magna Carta of all mankind." I wanted Professor Humphrey to help me understand the rights of young people under international law. He explained that to me in some detail, but he appeared much less interested in that. What he really wanted me to understand – really understand - was that rights alone were meaningless. He wanted me to internalize the idea that people who are blessed to live in a place like Canada and mostly take our human rights for granted, have a responsibility to others in the world who have none. So, our conversation moved from the fairly technical and codified rights under the under international legal frameworks, to the broader subject of human rights and responsibilities. I worry that our foreign and domestic policy gives lip service to these core principles. Both a Liberal and a Conservative government allowed for a then 14 year old boy, a Canadian citizen, Omar Khadr, to be sent to the US military’s prisoner of war camp at Guantanamo Bay. 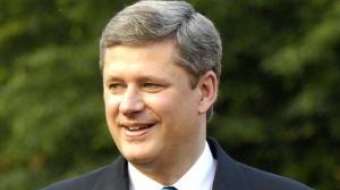 There he stayed without trial or due process – his right as a Canadian under our constitution – for seven years.